Jakarta. 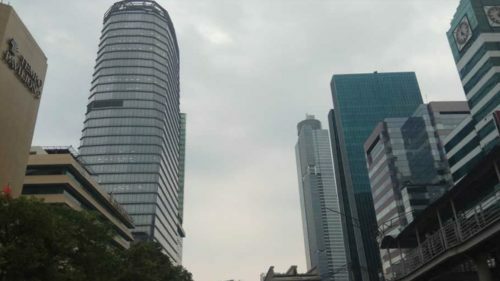 Indonesian business leaders are brimming with optimism about their prospects over the next three years, despite moderate economic growth and growing cybersecurity threats, global auditor KPMG revealed on Friday (08/06). The company questioned 1,300 chief executives in multinational companies that operate in 11 major markets. Eight in 10 Indonesian chief executives interviewed for the "KPMG Global CEO Outlook" survey said they were very confident about their business prospects. These sentiments are in line with those of their global counterparts, 90 percent of whom also expressed confidence. Still, 70 percent Indonesian chief executives expect the country's economy to continue to grow at a modest pace in the next three years. The economy has been growing at around 5 percent in the past four years. Recently, the government and several global institutions said the country is unlikely to achieve its 5.4 percent growth target for 2018. Also, the leaders were wary of cybersecurity and talent risk, citing them as top concerns that could derail their business projections." The [current] discussion about cybersecurity is very different than a few years ago," said Irwan Djaja, the chief executive of KPMG Siddharta Advisory. "The Indonesian CEOs I talked to are aware that cybersecurity needs to be part of their agenda, not only an IT matter." About a third of the interviewed Indonesian chief executives said it is only a matter of time when they will fall victim to a cyberattack.